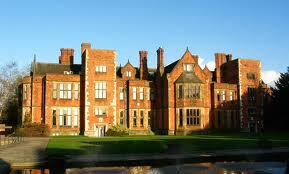 University of York Masters scholarships offer a tuition fee waiver (at the home/EU rate). The scholarship covers one year of full time registration. Scholarship applications may be submitted either by post or online. We are only able to accept scholarship applications from individuals who already hold an offer of a place on the relevant programme. The deadline for applications is 4pm on 30 April 2011 (unless stated otherwise), before entry the following October. To ensure fairness and transparency we do not accept applications after the deadline. We begin accepting scholarship applications from November, from this date applicants will be able to download an application form. Your application will be logged and you will receive a confirmation email. If you do not receive a confirmation email within 2 weeks of submitting your application please email student-financial-support[at]york.ac.uk. Once the deadline has passed all eligible applications are passed to the relevant Scholarships Committee for consideration. There are a limited number of awards available. The Scholarships Committee will therefore use a set of allocation criteria to choose the successful candidate(s) from the pool of eligible candidates. Academic excellence (as evidenced by the applicant in the Scholarship application form and independently verified by the Scholarship Committee with reference to evidence submitted to the relevant academic Department when applying for a place on the programme. The successful candidate is the applicant that best meets the allocation criteria for the Scholarship. Decisions are based on the evidence submitted to and verified by the relevant Scholarship Committee. In some cases a Committee will identify a reserve candidate in case the initially successful candidate is unable to accept the offer of the Scholarship for any reason. Allocation decisions are made throughout May, June, July and August before the October start. All applicants will be contacted with the results of their application by email in the first instance. Fee waivers are paid directly to the University on behalf of the award holder and will be deducted from the award holder’s account. Award holders will be responsible for paying any outstanding fees. Stipends are paid quarterly in October, January, April and July each year. Award holders will be asked for bank details so that stipends can be paid directly their prefered account. * you withdraw from your programme. Student Financial Support Unit may request progress updates from the supervisors of Scholarship Holders in order to monitor academic progress. Demikianlah informasi mengenai Master Scholarships, University of York, UK semoga berguna bagi anda.